I am often asked what the difference is between the ThermoClear and the ThermoClear PRO. It’s simple! The ThermoClear and the ThermoClear PRO are the same machine, but the ThermoClear PRO has a few convenient upgrades. 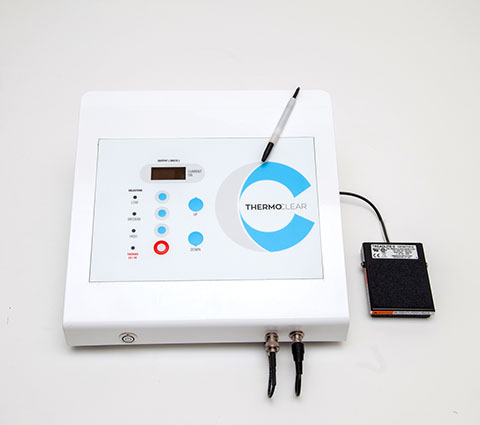 If you’re unsure what the ThermoClear even is, click here! Otherwise, read on! If you put the ThermoClear and ThermoClear PRO models next to each other they look very similar, but if you look at the control panels closely, you’ll see that they are slightly different. First, the ThermoClear PRO includes an auto-sensing function for pedal-free operation. What I mean by this is if you touch the probe to the skin, the current will turn on. When you remove the probe from the skin, the current will turn off. Easy-peasy! Second, the ThermoClear PRO includes an automatic timer. This is most helpful when you use your ThermoClear PRO for hair removal. 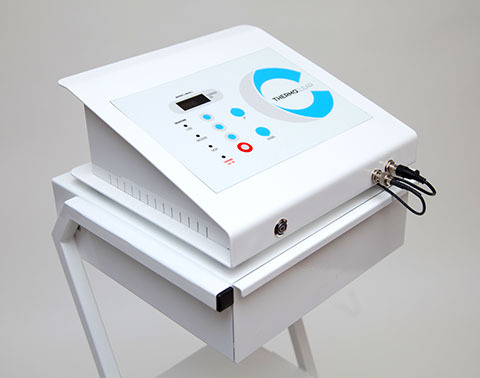 You can choose how many seconds the current will be on, and when you insert the probe into the hair follicle the machine will count down that number of seconds and then automatically turn off. I like to compare the two models as the difference between driving a standard (the ThermoClear) and driving an automatic (the ThermoClear PRO). The ThermoClear PRO costs a little bit more, but it allows you more flexibility in the treatment room. You can either hire an electrologist to perform hair removal treatments, or you can stop worrying about pushing the pedal while you’re working on someone’s face!